Once known as Gaeana stellata — yes, its name has changed — Ambragaeana stellata (Walker, 1858) can be found in China, Thailand, India, and likey other nations the south-eastern part of Asia. 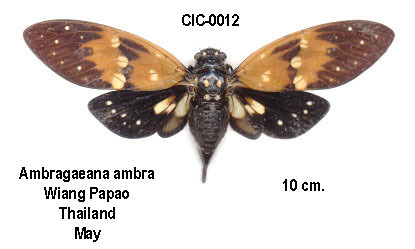 Ambragaeana cicadas belong to a group nicknamed the “butterfly cicadas” because of the butterfly-like colors and patterns of their wings. “Stellata”, I believe, is derived from the Latin word for “star” — it doesn’t take much imagination to see the “stars” in the wings of this cicada. 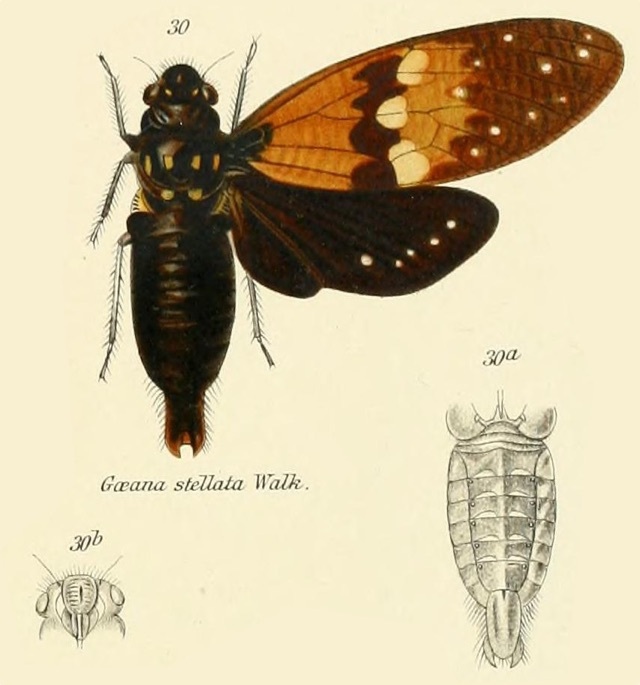 The image says Gaeana stellata, but the newest name for this cicada is Ambragaeana stellata. Worth noting: There are two sub-species of Ambragaeana.